We all love being outside in the summer, including our pets, but it’s especially important to take precautions to prevent your pet from overheating. Read on to learn how to keep your pet safe in hot weather. Spring Checkup – Before summer approaches, it’s a good idea to take your pet to see a vet. If your pet isn’t on year-round preventative heartworm medication, Spring is a good time to get them tested. Plenty of Water – Pets get dehydrated quickly. It’s important to make sure they have plenty of fresh, clean water throughout the day, especially when it’s hot or humid outside. If pets are left outside for long periods of time, make sure there’s a shady spot for them to tuck away from the sun. If you’re playing outside with your furry friend, make sure you don’t over-exercise them. On extremely hot days, it’s best to avoid the outdoors. Never Leave Your Pet in a Parked Car – Even with the A/C on, it is never a good idea to leave your pet in the vehicle because air conditioning units can break unexpectedly. Air temperatures rise quickly, and on a hot day, pets can experience life threatening problems within as little as ten minutes. In many states, leaving your pet in the car is illegal. Exercise in the Morning or Evening – During the summer, it’s better to walk your dogs as early as possible or during the evenings when it starts to cool down. Avoiding walks in the middle of the day when temperatures are at their highest is safer for your pet. Grooming – While trimming your pet’s coat relieves them of added heat, it’s recommended to never shave your pet. The layers of dogs’ coats protect them from overheating and sunburn. 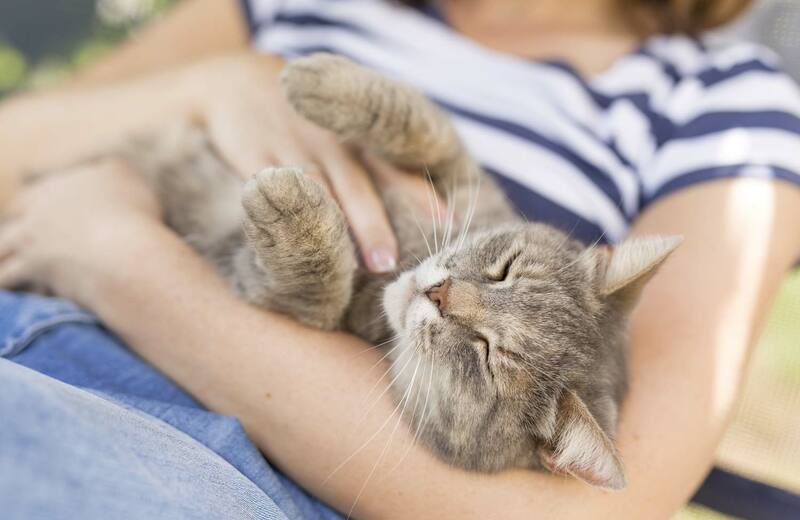 For cats, you can prevent excessive heat by brushing their fur more than usual. It’s also good to remember that any sunscreen or insect repellant you use on your pets must be labeled specifically for animals. We all love to play outside with our furry companions. Show your pets the best care possible by following these tips to keep them safe and happy during the hot summer months!